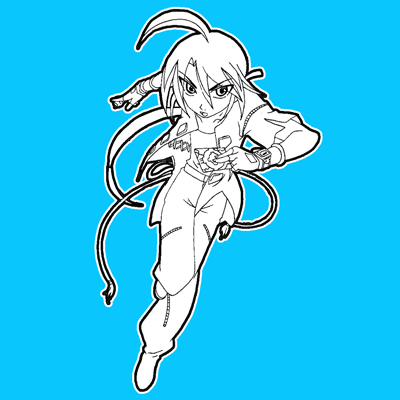 Shun Kazami is one of the main characters from Bakugan including the series Bakugan Battle Brawlers: New Vestroia, Bakugan: Gundalian Invaders and Bakugan: Mechtanium Surge. 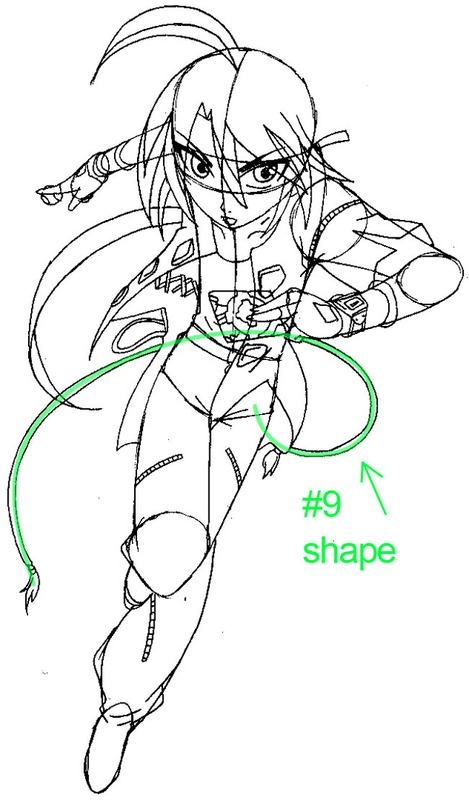 We will show you how to draw Shun with easy to follow illustrated steps. 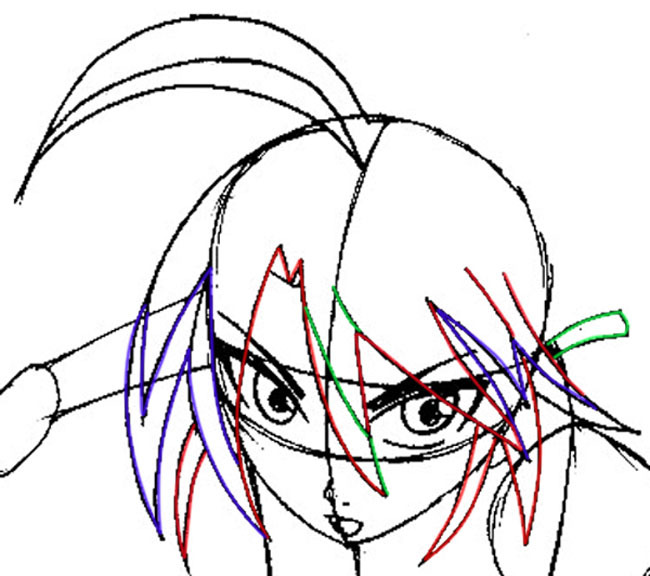 Start with a basic head shape…draw guidelines within. 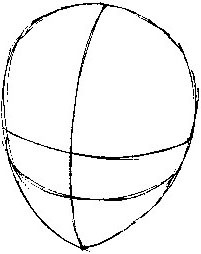 Add a downward rectangle curving at the back near the head. 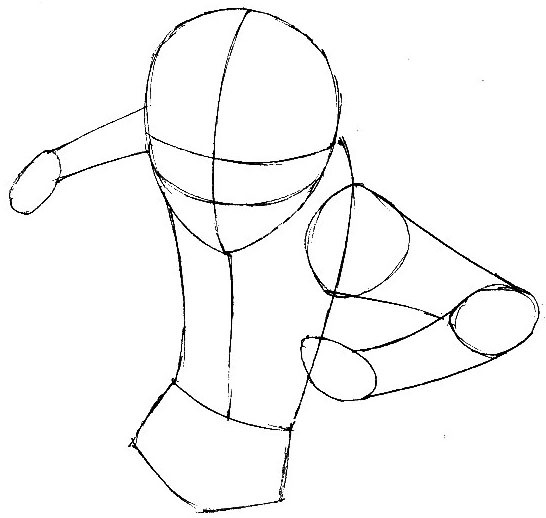 Draw the torso next, sort of an inverted house shape. 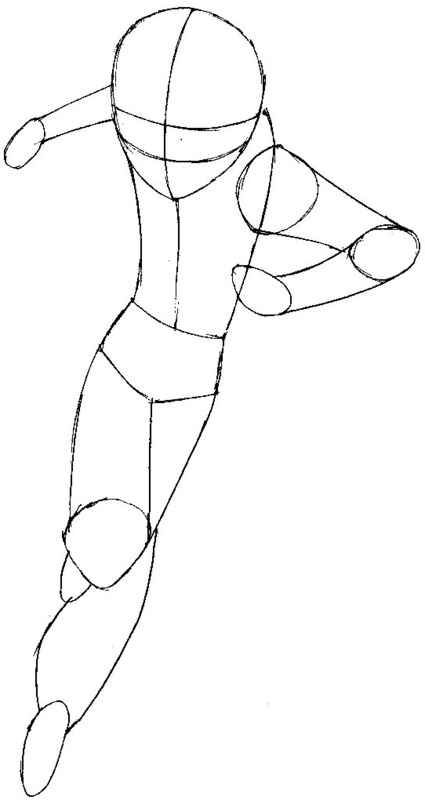 Now draw his arms. The arm behind his head should be a bit smaller than the other one. Next up are his legs. 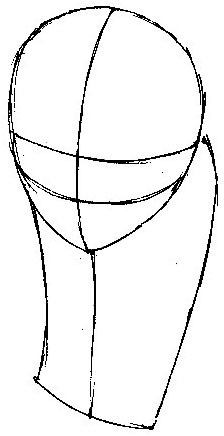 Use circles for joints and peanut shapes for feet. 6. 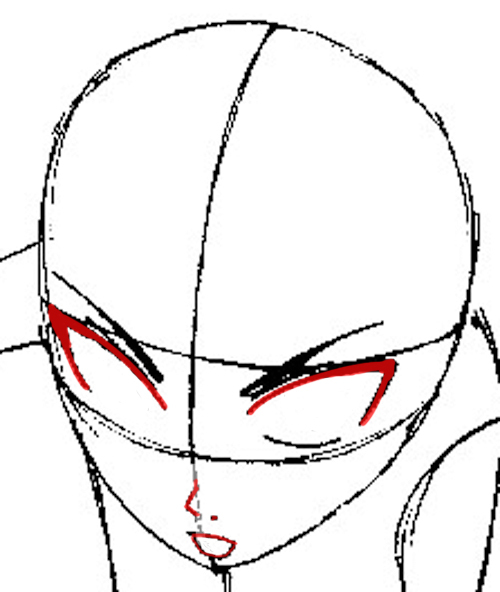 Let’s draw Shun’s face. 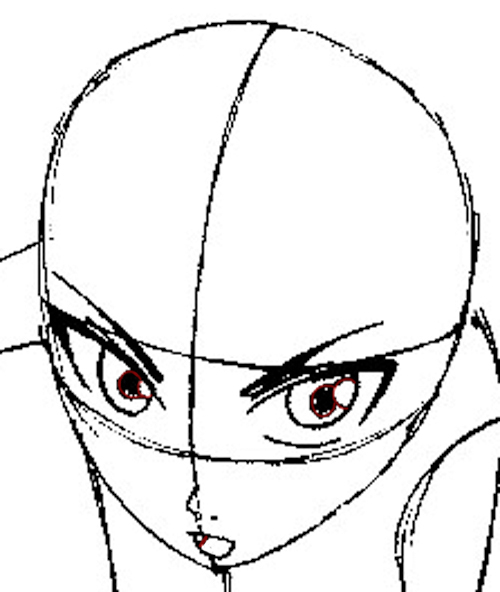 Use a slanted, pointy frame for the eyes to give him a determined look. Finish off the eyes with 2 circles. Draw a line in the mouth. Draw his hair next. Long wavy tufts of hair and one stray tuft jutting out from his head. Now draw his clothes. 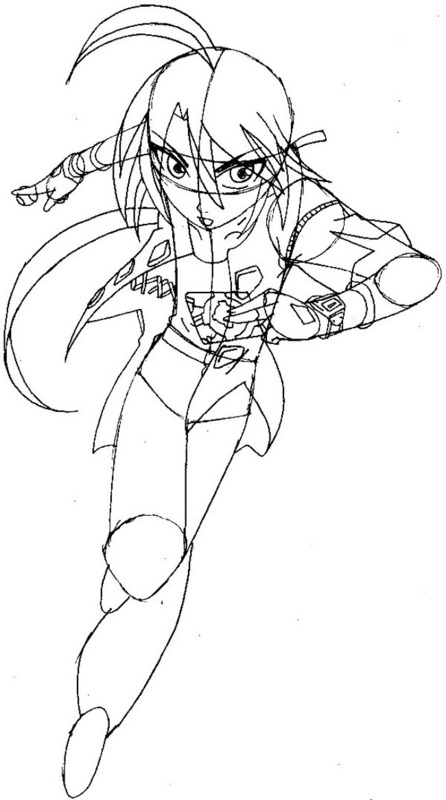 Shun wears a shirt underneath his jacket. Feel free to design your own. Next draw his arms. 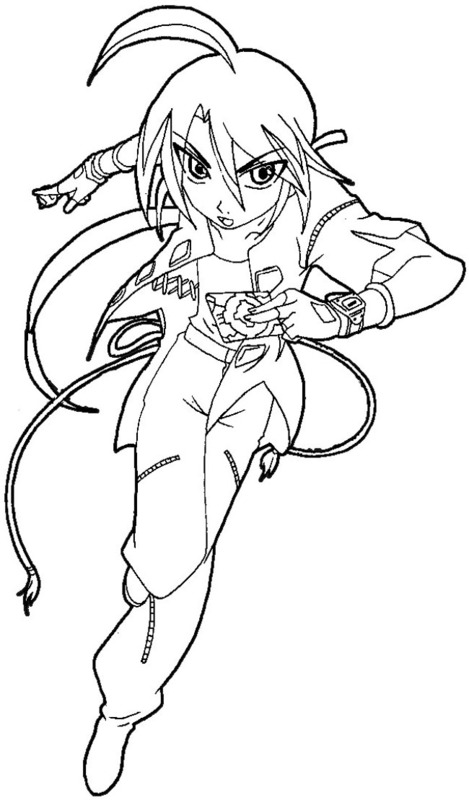 Shun likes fingerless gloves, and add a Bakugan card on his fingers. Draw the tassel on his waist, and the rest of the details on his pants. Add a lot of zippers. 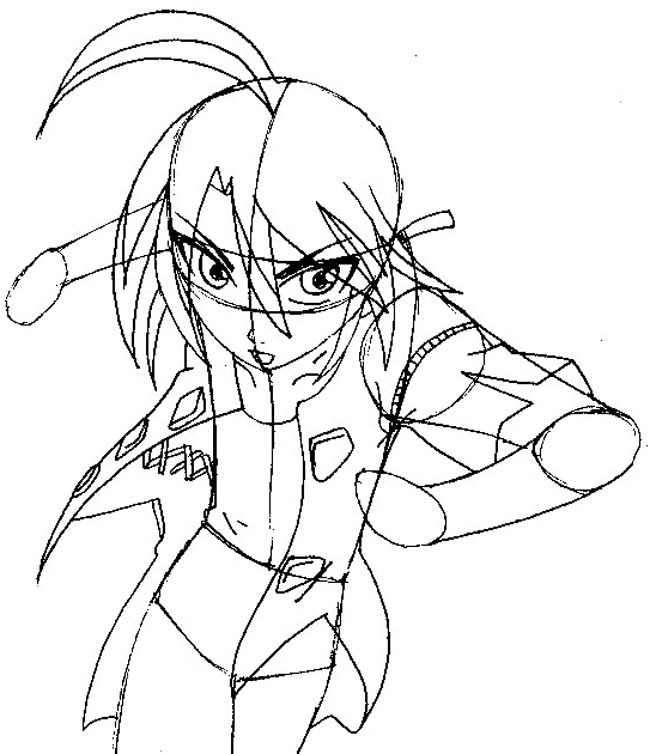 Thicken his outline and give the lines a nice once over. You’re done. This article was written on 17 Jan 2014, and is filled under Bakugan.